After the longest fall in modern history, real wages have moved into positive terrain and appear to be turning the corner. 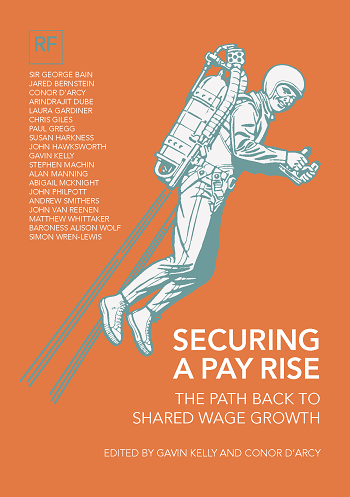 Yet the outlook for wages – how strong and shared pay growth might be in the years ahead – remains highly uncertain. What emerges will shape not just what happens to living standards but also the fiscal position and wider political choices that will define the next parliament and beyond. To foster informed debate about these challenges and the policies best placed to respond to them, the Resolution Foundation has brought together contributions from leading economists straddling the worlds of academia, policy research and journalism. Rather than simply diagnosing the problem, each contribution points to possible policy responses. Visit the book’s microsite here to read individual essays.